Acts 6:1 says that there was a problem between “Hebraic” and “Hellenistic” Jews. (See this post on the Hellenists. )This needs to be explained carefully, since the word “Jew” does not appear in the text (although English translations regularly include it). Obviously these are all Jews, but there seems to be problem between the Jews who are in Jerusalem from “outside” and those Jews who remained on “the inside.” Chapters 6-8 concern the activities of two Hellenistic Jews and their ministry outside of the circle of the apostles in Jerusalem. I would suggest here that Luke has intentionally arranged several stories concerning Peter and John in chapters 2-4, and several stories concerning Stephen and Philip in chapters 6-8. This is not necessarily a geographical division, although doubtless it often was. To be a “Hellenist” was to adopt the language and culture of the Greeks, while to be a “Hebrew” was to adopt a more tradition Jewish language and lifestyle. For Ben Witherington, language is the main issue (see Acts 240-247, for an excellent excursus on the Hellenists). Bock, on the other hand, agrees more with my sketch of the Hellenists (Acts, 258-9). Language is an important issue, but it is not the only issue separating the Greek from Judean Jew. We cannot make a general judgment like “all Jews from the Diaspora were more liberal” or that “all Jews from Jerusalem were more conservative.” These categories are derived from modern, western ways of dividing an issue into opposing, black and white categories and highlighting the contrasts. 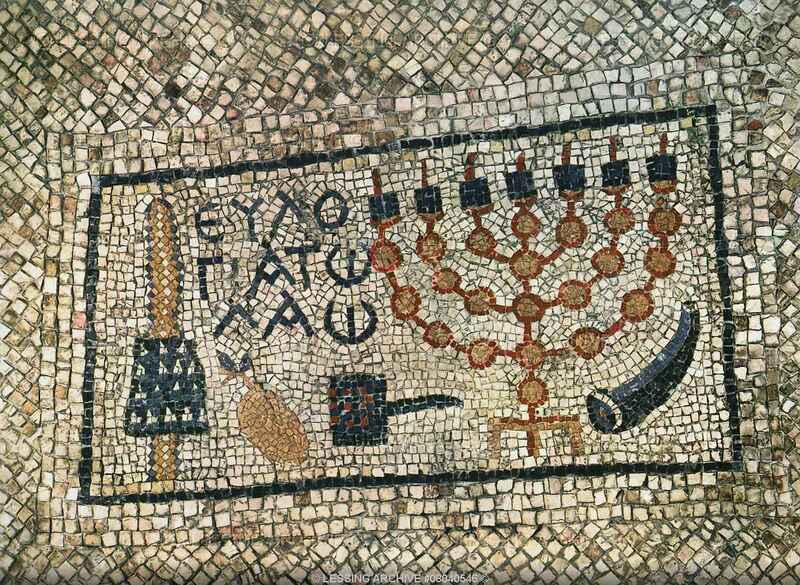 It is entirely possible a Jew living in a Roman city was very conservative on some aspects of the Law even though he lived and worked along side Gentiles. Paul is the best example of this since he was a Jew from Tarsus, fluent in Greek but also able to call himself a “Hebrew of the Hebrews” in Philippians 3. He was certainly quite conservative with respect to keeping the law and traditions of the people. Yet he was a Roman citizen and seems to have had little problem functioning in the Greco-Roman world. On the other hand, The High Priest, the Sadducees and Herodians appear to have been more relaxed concerning some aspects of the Law and had no real problem ruling alongside of the Romans. But they were still concerned with keeping the Law and maintaining the Temple. It was therefore possible to be “extremely zealous” in the Diaspora and extremely lax while worshiping in the Temple regularly. Some in the Jerusalem community in Acts 6 are more committed to a Jewish Christianity and are finding differences with the Jews who are more Hellenistic in attitude. This leads to the appointment of the deacons, but does not solve the ultimate problem. By Acts 11 Jews living in Antioch are willing to not only accept Gentiles as converts Christianity, by Acts 13 Paul is preaching the gospel to Gentiles who are not even a part of a synagogue! Since these Hellenistic Jews are more open to Gentiles in the fellowship, the more conservative Jews in Jerusalem begin to persecute the apostolic community even more harshly, leading to the death of Stephen and the dispersion of the Hellenistic Jews. The text in Acts 6 does not imply that the problem was theological – it was entirely social (Witherington, Acts, 250). Some of the Hellenists felt slighted because their poor were not supported at the same level as the non-Hellenists. The word Luke uses (παραθεωρέω) in Acts 6:1 means that one “overlooks something due to insufficient attention” (BDAG). The neglect may not be intentional, but it was a very real problem which the Apostles needed to deal with quickly. As we read Acts 6, how deep is the divide between these two groups? Looking ahead at what happens in Antioch, in Galatia, and in the Jerusalem Council (Acts 15), does this “Hebrew” vs. “Hellenist” divide foreshadow bigger problems? I really don’t understand a couple of things you mentioned even though they area mentioned or described in Acts. Paul says in Galatians that his first visit to Jerusalem was three years after his “call” or “revelation” (he never says “conversion”). I know some say that he meant that it was his first visit after his calling. Also, from what I have read about the Romans, they did not allow executions of any kind unless they did it. They were very fussy about who could be executed and how it was done: strangulation, beheading, or crucifixion. And crucifixion was only for rebellious people against the Roman rule. Please explain the Stephan stoning and why Paul says that his first visit to Jerusalem was three years after his calling.